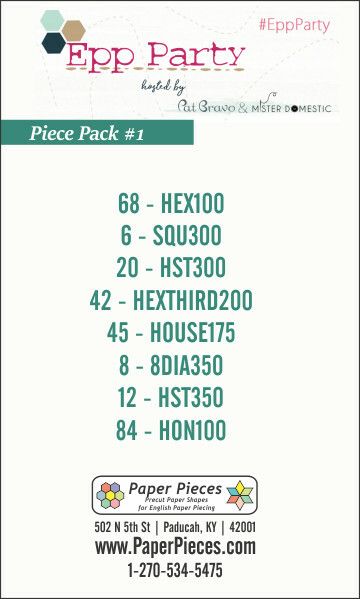 Join the EPP Party with Pat Bravo and Mister Domestic! 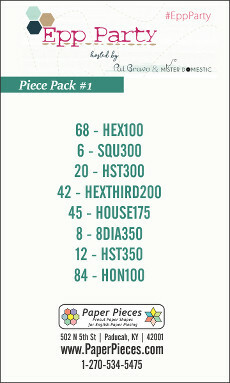 This is Pack No.1. 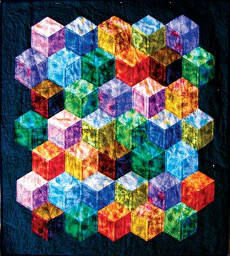 Hundreds of 1/2" hexagons give this quilt an old-fashioned charm, but there are just as many ways to individualize it for a modern twist. 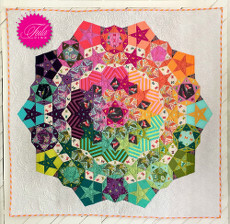 The smaller size would make this perfect for a true charm quilt with no two hexagons alike. 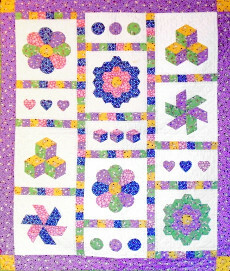 This 22-1/2" x 46" table runner is the perfect Spring project. The blossoms and vines in the border add to the true beauty of this quilt. 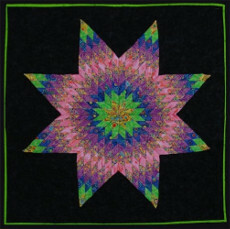 Approximately 4" - 7" in diameter. 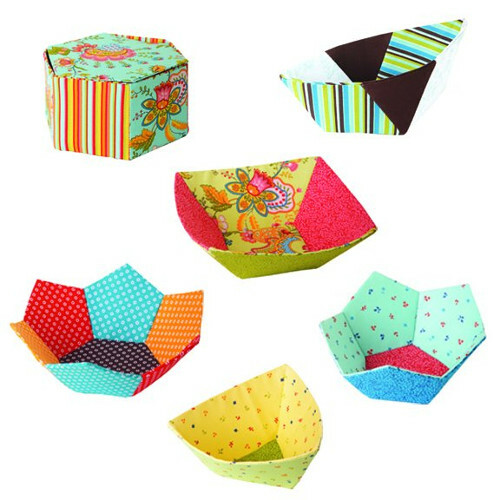 Make these bowls for gifts or keep them yourself to hold all of your quilting notions. 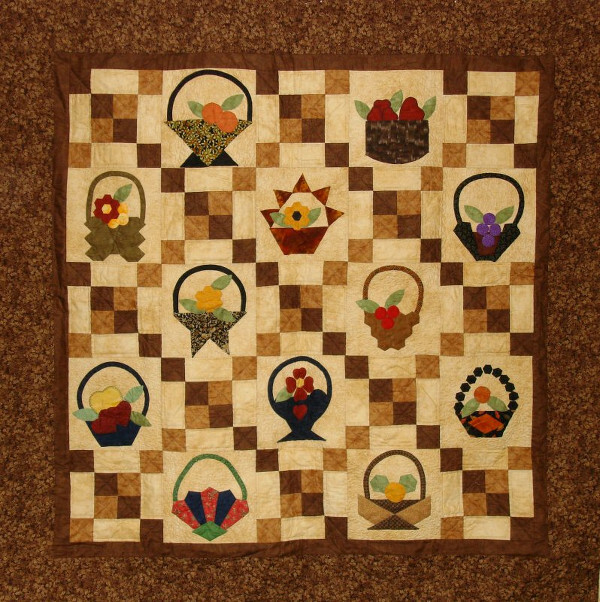 Wall Hanging 60" x 60". Count your blessings! 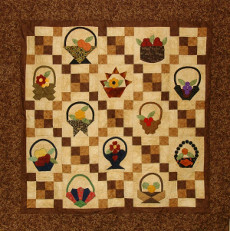 The bounty of the harvest is yours, twelve unique baskets are filled to the brim with an assortment of colorful fruits and flowers. 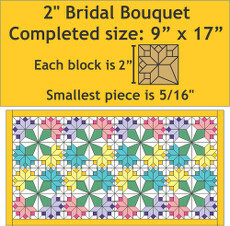 This pattern comes with the instructions and enough blocks to make a 9" x 17" Miniature Bridal Bouquet Quilt. 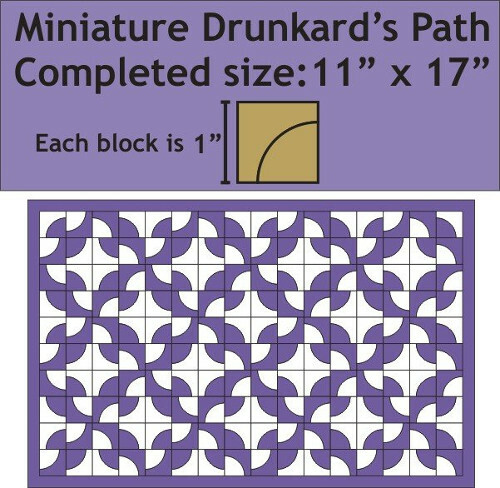 Each block measures 2" on one of it's sides. 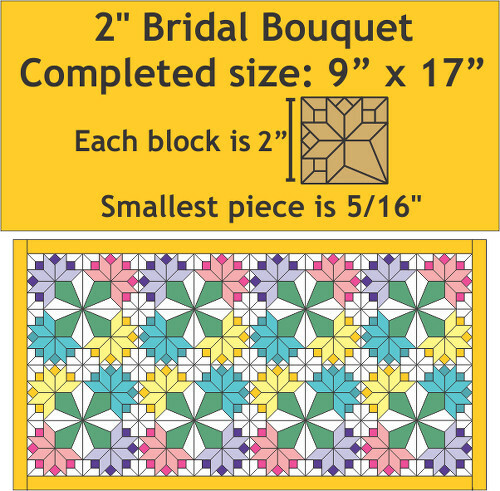 Smallest piece is 5/16". 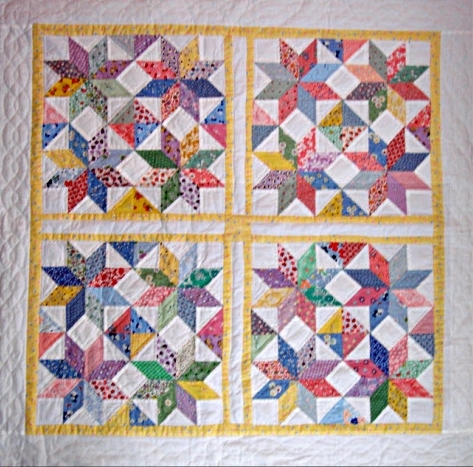 Approximately 45" x 52". Want to make a splash with your favorite fussy cut novelty fabric? 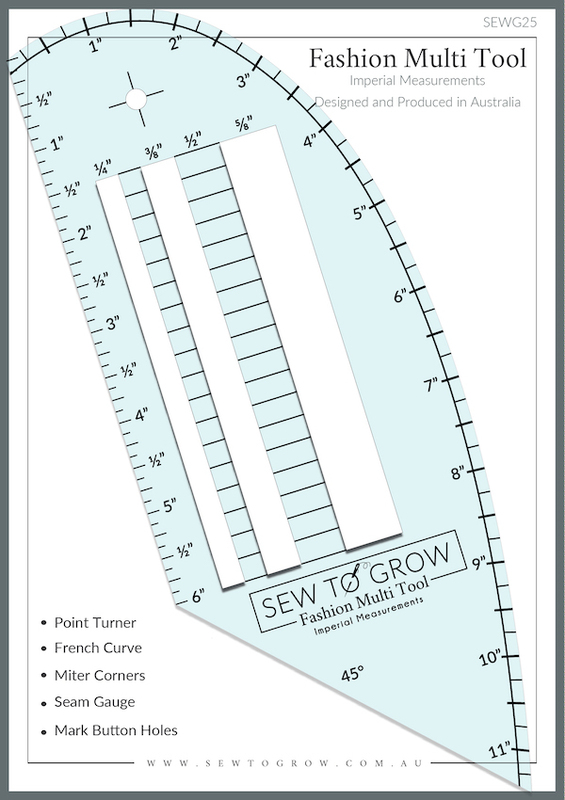 This version of the Le Moyne star will show off those prints to their best advantage. Isn’t that just ducky?! 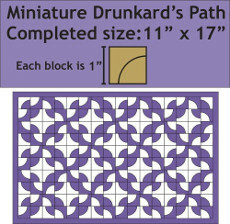 This pattern comes with the instructions and enough blocks to make a 11" x 17" Miniature Drunkard's Path Quilt. 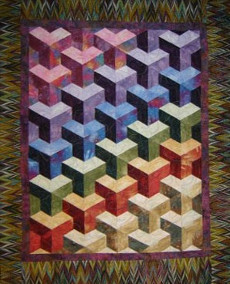 Each block measures 1" on one of it's sides. 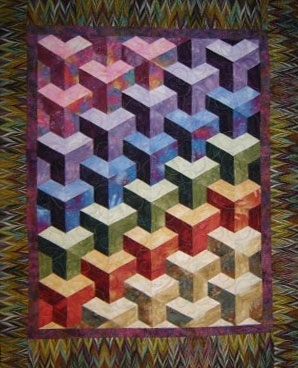 Miniature 14" x 16". 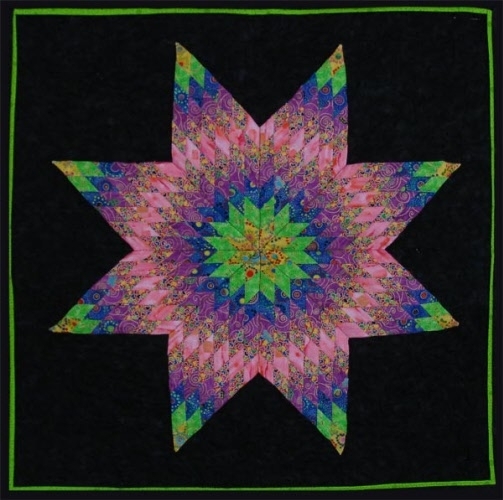 Triangles and diamonds combine to form the eye-catching border that ties together this miniature cluster of stars. 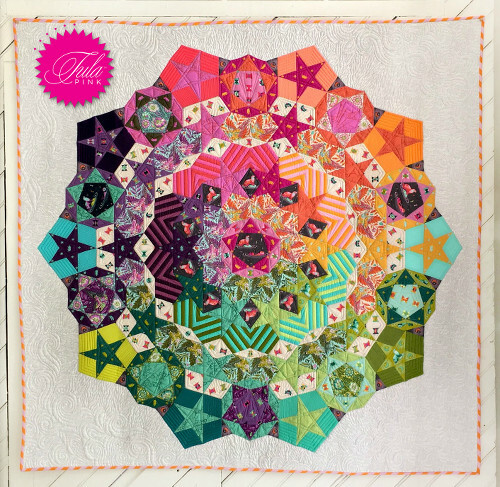 Tula Nova Quilt Pattern by Tula Pink and complete piece pack. Finished quilt size is 56" X 56".